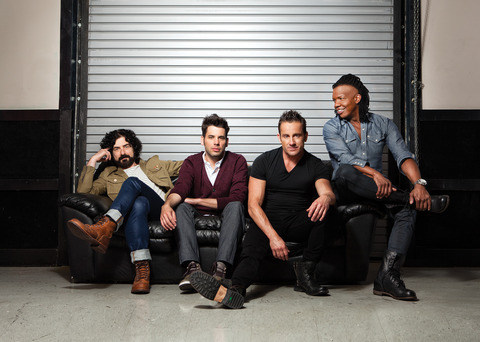 Nashville, Tenn. (March 13, 2014) – Four-time GRAMMY®-nominated band Newsboys celebrated a career defining moment this week, picking up 64 adds at Christian radio for their single “We Believe” off of Restart. This is the biggest add week ever in the band's history, who already boast an impressive track record with 16 albums, five RIAA Gold certifications, 30 No. 1 radio hits and over 8 million units sold over their multi-decade career, including nearly 1 million records since Michael Tait joined the band. This strong radio exposure also led to a major spike in digital track sales for the single, which is featured on the Restart album, the band's third studio album with Tait as lead. "We are beyond excited to see radio's enthusiasm with our new single," remarked Tait. "This song is a testament and a definite creed for what we as Christians believe; Our hope and eternal salvation! There is nothing more igniting than to watch from our stage nightly, as listeners holdfast to these beliefs along with their families and friends!" The Newsboys debuted a lyric video for “We Believe” earlier this year, as well as a live music video recorded at the famous Ocean Way Studios on Music Row in Nashville. As the Newsboys wind down the final dates of their headlining slot on the internationally top-ranked Winter Jam 2014 Tour spectacular, the band is now gearing up for their headlining “We Believe Tour,” which will hit select cities this April and May. Keeping to tradition for the tour heavy veterans, the Newsboys will hit several music festivals and international dates over the summer. For more information and tickets, visit http://newsboys.com/tour/.